Nishi chaya-gai is a geisha district located south west of downtown. Nishi geisha district is small, however geisha girls are still working. Nishi chaya-gai was built in 1820 under the permission of the lord Maeda family, who governed Kanazawa during samurai feudal period. Nishi chaya-gai is a little bit far from Kanazawa castle (30 minutes by walking and the bus connection is not good), so not many tourist, especially foreign tourists, visit there. 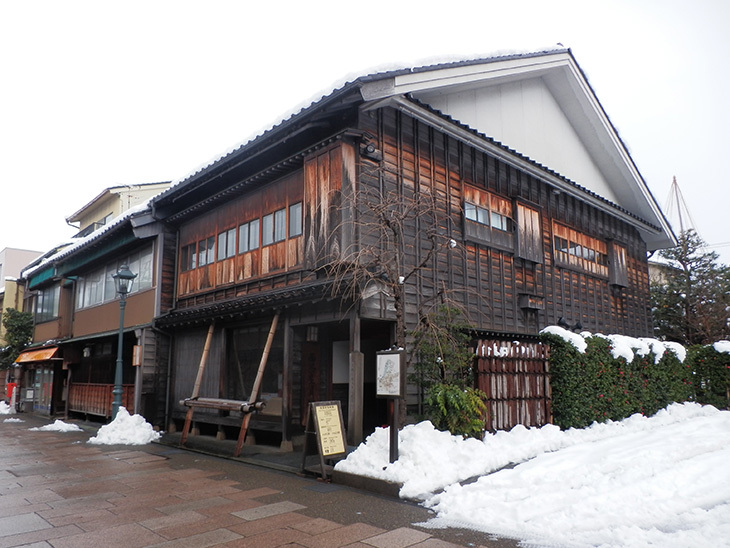 Like other two geisha districts, Higashi and Kazuemachi, Nichichaya-gai has wooden building and lattice in front of the building is beautiful. 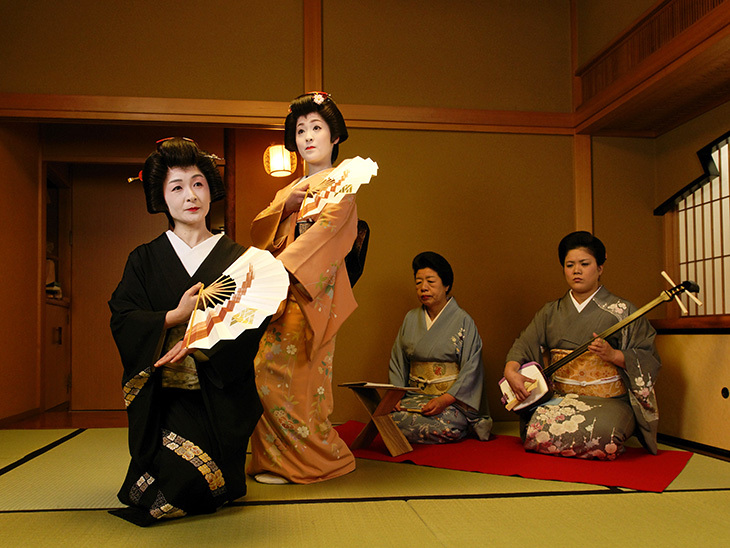 Geisha is a performer who entertains customers by playing instruments or performing dance. During feudal samurai period, geisha restaurants were opened to only the members and even becoming a member was difficult. To become a member, member’s introduction was necessary. Nowadays, geisha restaurants in not membership-only restaurant any more and tourists can enter. As mentioned above, 22 geisha are working in Nishi chaya district and you can enjoy entertainments if you can afford to it. The district is small and the main street is only a couple of hundreds metres so it doesn’t take time to look around. You are lucky if you have time to come here because you can come into this house for free. You have to pay 500 yen to see the almost same thing in Higashi chaya-gai though. They have traditional guest room in which traditional instrumental and things used during samurai period. By Kanazawa loop bus (counterclockwise, left loop), Hirokoji (LL5) is the closest bus stop. Get off there and walk back, cross a big intersection and turn to the left at first traffic light, then the west geisha street start from there. By clockwise (right loop) bus, Kata-machi (RL13) is the closest bus stop. You need to walk 10-15 minutes from there. After getting off, walk back and cross Saigawa bridge. Go to the right at the first big intersection and turn to the left at first traffic light, then the west geisha street start from there.